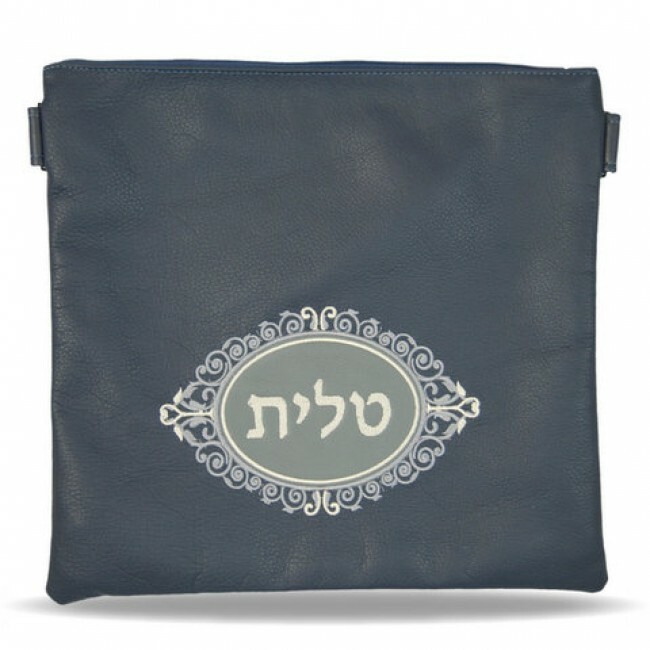 Leather Bags designed specifically for your Tallit and/or Tefillin. Created in a variety of sizes to choose from. 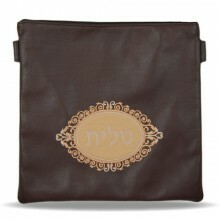 Tefillin bag size 8" x 9" - Commonly used together with a tallit bag, also know as the matching size. 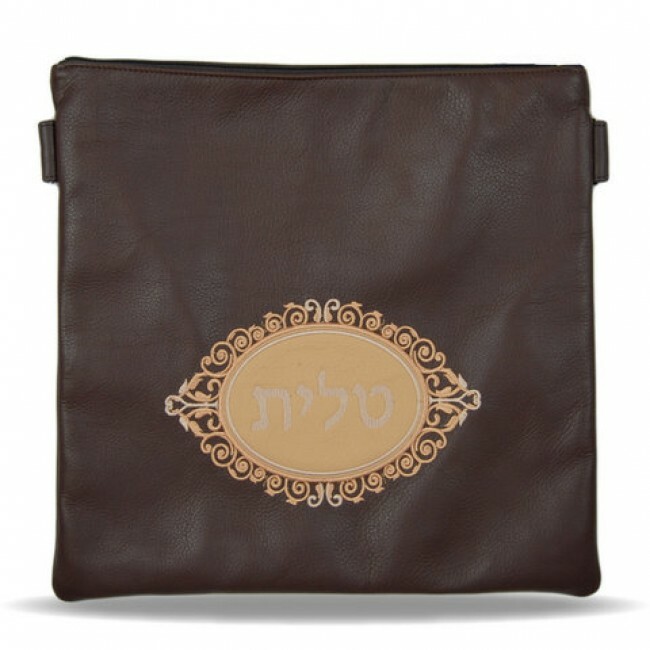 Tefillin bag for Bar Mitzvah size 10" x 10" - Slightly larger than the standard tefillin bag, designed to hold a siddur in addition to a pair of tefillin. 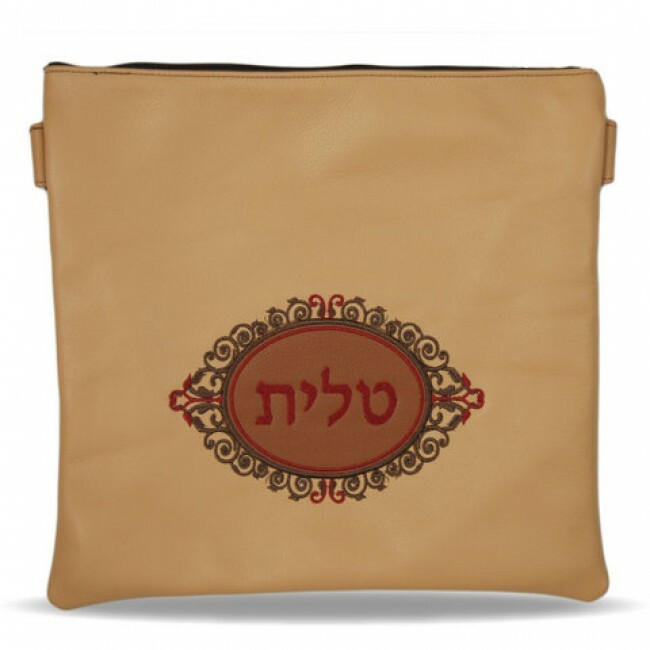 Large Tallit Bag size 15" x 15" - This bag fits a full size tallit, a tefillin bag and a siddur. 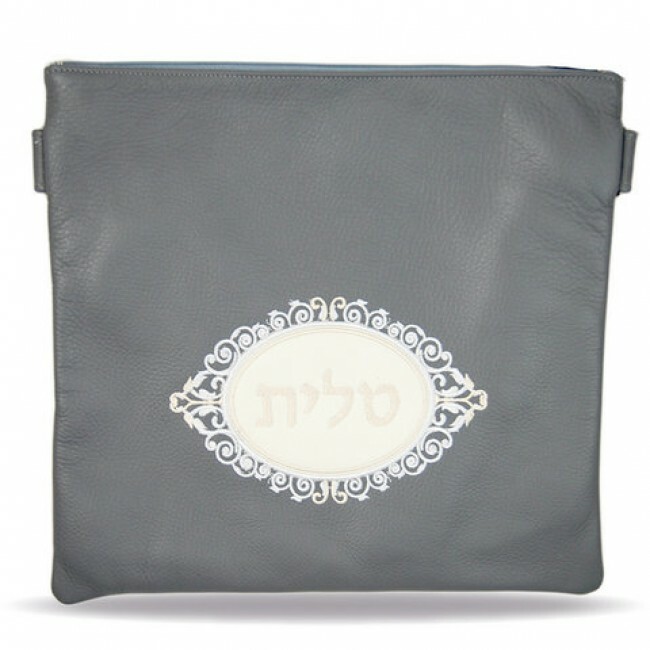 All our Tallit and Tefillin Bag can be customized with Hebrew and/or English embroidered inscriptions. When ordering with English inscriptions, you may enter the text in the notes section above or durring checkout. For Hebrew inscriptions, please email, fax or call. Prices for inscriptions are .75 per letter and will not show during checkout.